This palace was the seat of Bohemian princes and kings and consists of three architectural layers. A Romanesque building built at the beginning of 12 century by Sobeslav I forms the cellar of the present building. 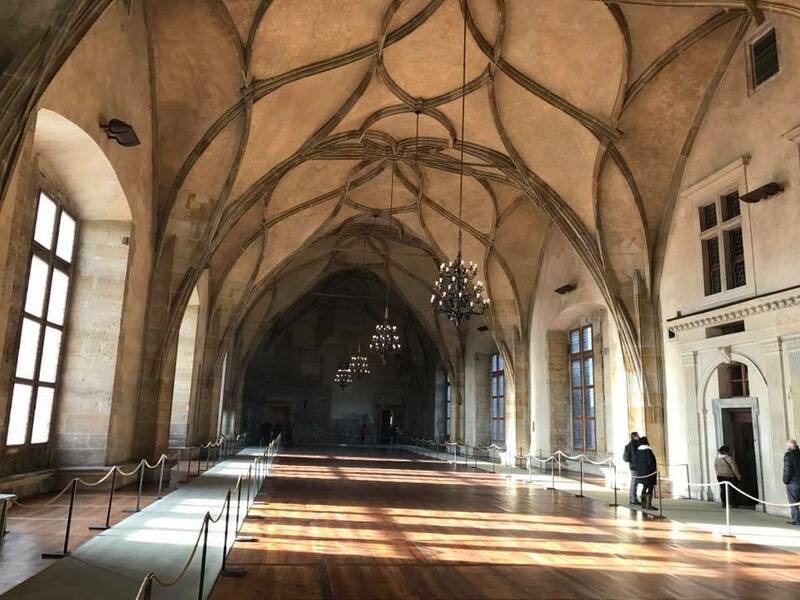 Charles IV had the whole building rebuilt into an imposing royal and imperial seat. The Old Palace was last rebuilt during the reign of the house of the Jaggelons. Many of the rooms were restored after having been destroyed by a great fire in 1541. 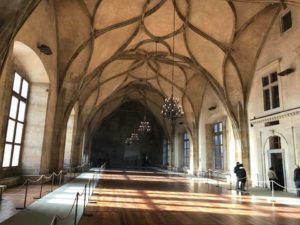 During the period of Habsburg rule the palace housed government offices, courts and the old Bohemian Diet(parliament), and which was also the throne room. The Top floor contains the highlight of palace, the Vladislav Hall. The hall’s magnificent rib vaulting was designed by Benedikt Reid at the turn of the 16th century. The square windows are the first sign of the Renaissance in Bohemia. Painting from the 17th century by Aegidius Sadeler shows that the Royal court was likely to be a public market. It is here that the National Assembly elects its new president. Rider’s Steps allowed knights to enter the hall on horseback for indoor jousting competitions. All Saints’ Chapel was built by Peter Parler for Charles the IV. Some rooms in the palace are decorated with crests of clerks who worked here from 1561-1774.